I will admit to not having my head completely around the whole concept, mostly because it’s a weekend jam packed with so many events that my poor little ADD challenged mind can’t completely process the whole thing. 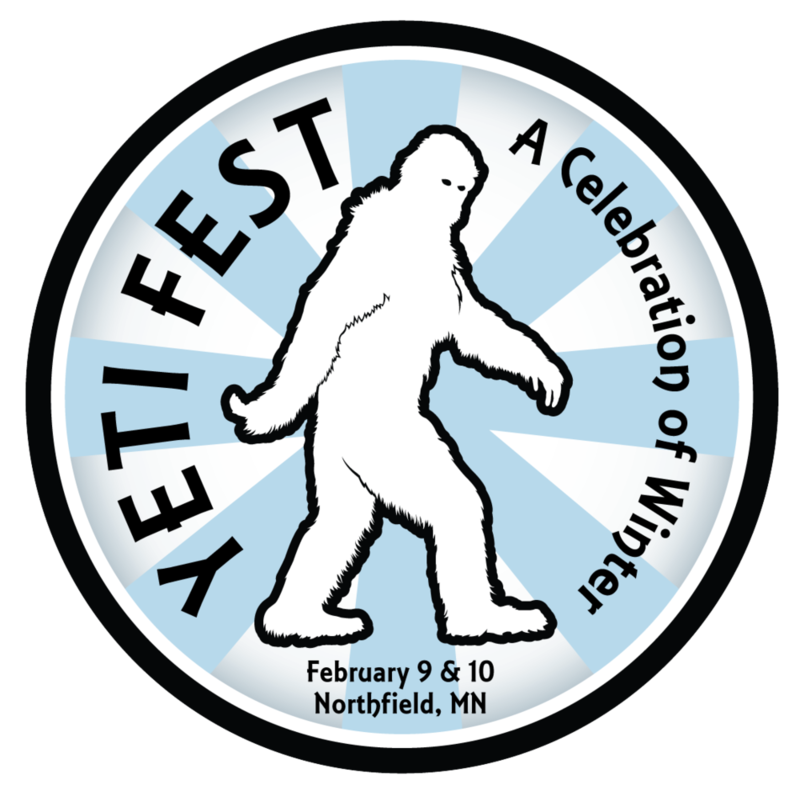 Put concisely, Yeti Fest is a weekend-long celebration of life in the Bold North during the winter. It’s part embracing the challenges all the cold and snow can bring, and it’s part thumbing of our collective nose to old man winter. Just because the temperatures bounce up and down on the 0° line like a bobber in an ice hole, that doesn’t mean we’re going to shut our lives down and wait for spring. I mean, if we do that, we might not see each other until May. · Live music with Area 51 and special guests 7-10 p.m.
· Yeti Look Alike Contest, 8:30 p.m.
· Snowshoe and Brew Tour 12-4 p.m.
· Maria’s Taco Hut will be at Armory Square from12:30 p.m.
· Moonlight Snowshoe Tour 6:30 p.m.
· THE BIG YETI PARTY 6-10 p.m.
· Long Johns Fashion Show 8:30 p.m.
· Grumpy Old Men showing at Imminent 9 p.m. This is going to be a fun weekend, and whether you’re a Northfield local or someone from the Cities or further outstate looking for a good time, everyone is welcome to join in the fun. Come on over to greet the Yeti and celebrate the good life in cold weather.